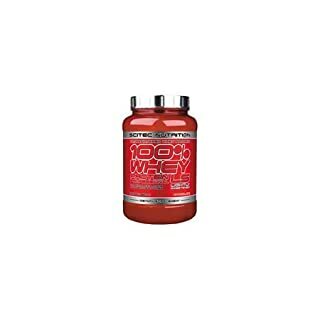 100% Whey Protein Professional is an excellent quality ultrafiltered whey protein concentrate and whey protein isolate. Whey protein is considered the king of all bodybuilding proteins as it has the highest biological value (BV). Whey protein has great amino acid profile and higher BCAA (isoleucine, leucine, valine) concentration than any other protein source. The amino acid profile of this protein is excellent. 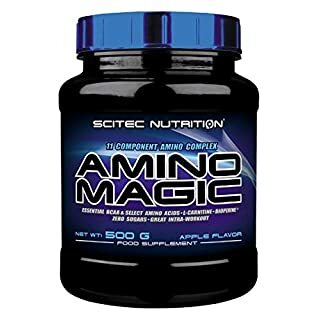 It contains almost an aboundance of so called anabolic amino acids(BCAA's, arginine, glutamine). 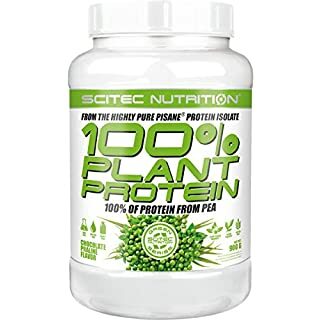 100% Whey Protein Professional contains approximatley 10% intact immunoglobulin protein microfraction that helps to support the body's immune system. Whey protein also has the ability to enhance endogenous glutathione production. Glutathione is the most powerful naturally occurring anti-oxidant in the body. 100% Whey Protein Professional also contains quadrapeptides which have been shown to have a pain-killing effect, thus your soreness after an intense workout can be decreased. 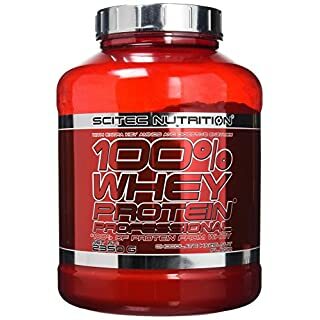 100% Whey Protein Professional also has a low percentage of lactose, and is fortified with an "Anabolic Amino Matrix": leucine, glutamine and taurine, the most important protein synthesis stimulating and muscle cell volume boosting amino acids in human muscle tissue! Aspartame free formula! 100% Whey Isolate is an excellent quality protein from whey isolate and fortified with even faster absorbing whey hydrolysate. This formula is lower in carbohydrates than ever before! 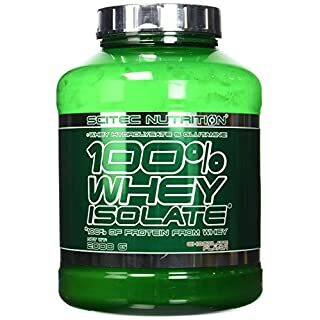 Generally whey "isolate" proteins are produced to have a higher percentage of protein than whey "concentrates", which also means that "isolates" have lower sugar (including lactose) and fat content! Dietary proteins are the source of nitrogen and essential amino acids, which the body requires for tissue growth and maintenance. Therefore 100% Whey Isolate contributes to the growth and maintenance of muscle mass, and also to the maintenance of normal bones*. Whey protein from milk is a so-called complete protein, because it provides the body with all the necessary types of amino acids, including the 9 amino acids the body cannot synthesize and must be supplied by the diet (i.e. Histidine, Isoleucine, Leucine, Lysine, Methionine, Phenylalanine, Threonine, Tryptophan, Valine).100% Whey Isolate has added extra L-Glutamine that is the most abundant free amino acid in human blood. *These statements have been scientifically proven by the European Food Safety Authority (EFSA) and authorized by the European Commission (EC). Allergen info Manufactured in a facility that processes milk, egg, gluten, soy, peanuts, nuts, fish and crustacean ingredients. 10.000 MILLIGRAMS! MEGA DOSE! 1:1 RATIO OF BCAAs AND GLUTAMINE! FORTIFIED WITH TAURINE! SUGAR FREE FORMULA! Leucine, Isoleucine and Valine belong to the family of protein building Branched-Chain Amino Acids (BCAAs). They are among the 9 essential aminos for humans, because our bodies can’t manufacture them, so their only source is our daily food or food supplementation. BCAAs account for 35% of the essential amino acids in muscle proteins. On the other hand, Glutamine is a top ingredient for athletes in popularity, so we included it to boost Glutamine intake levels. As a plus, BCAA+GLUTAMINE XPRESS is forti ed with Taurine as well! 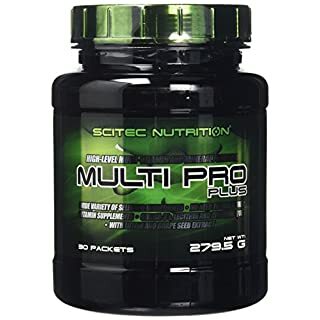 The 1:1 combination of high dose BCAAs and Glutamine in this scienti fically formulated powder promotes muscle recovery during and after high-intensity workouts preventing undesirable muscle breakdown and performance decrease. 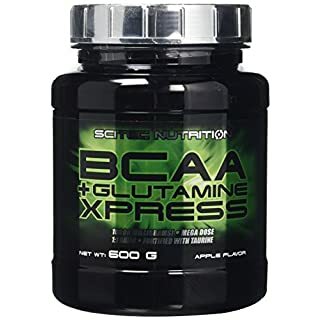 BCAA+GLUTAMINE XPRESS provides these crucial aminos in exceptionally delicious fl avors! It's been shown that people tend to overestimate their actual nutrient consumption when trying to gain muscle and brawn. In other words, they eat less than they think and they need for steady and significant progress! Everybody seeks the magic bullet while ignoring the fact that nothing is more powerful than the consistent consumption of proper amount of total calories, energizing carbs and muscle building protein. Couple this with the fact that many athletes don't invest time in the proven method of keeping a food log and the best practical solution left for most may be to rely on the daily use of a JUMBO type shake that can really help to take in enough nutrients to progress. 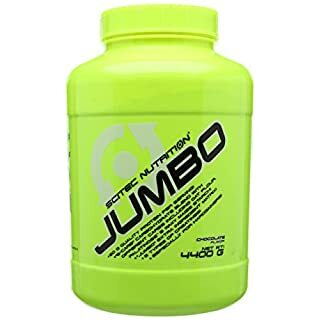 With 50 grams of one of the highest quality protein per serving, a large dose of energy dense 6-carb matrix, the nutritional side of the equation is significantly boosted for you by JUMBO! JUMBO is designed with whey protein. Dietary proteins are the source of nitrogen and indispensable amino acids, which the body requires for tissue growth and maintenance. 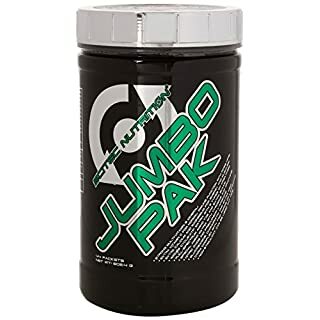 Therefore, JUMBO contributes to the growth and maintenance of muscle mass. * Whey protein from milk is a so-called complete protein, because it provides the body with all necessary amino acids, including the 9 amino acids (i.e. Histidine, Isoleucine, Leucine, Lysine, Methionine, Phenylalanine, Threonine, Tryptophan, Valine) that are considered essential for life, because the body cannot synthesize them. Determination of the nutritional efficiency of protein in the diet is in most cases based on estimating the extent to which dietary protein nitrogen is absorbed and retained by the body and is able to balance daily nitrogen losses. Net Protein Utilisation (NPU) is the percentage of ingested nitrogen that is retained in the body, and the Biological Value (BV) gives the percentage of absorbed nitrogen that is retained. Biological Value is the product of NPU and digestibility. BCAA Xpress is a formula with high doses of BCAA providing 5000mg per serving. 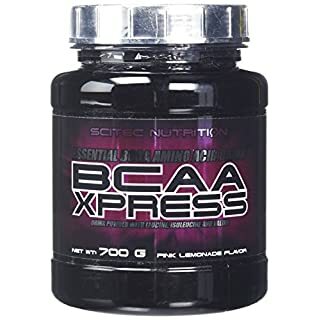 BCAA XPRESS contains a 2:1:1 ratio of Leucine, Isoleucine and Valine; and because it is mixed with water to make a drink, it can absorb faster than a tablet formula. BCAA's are critical in modulating muscle growth and recovery so by supplying them to your body they get to work quickly to support performance levels and enhance your fitness gains.